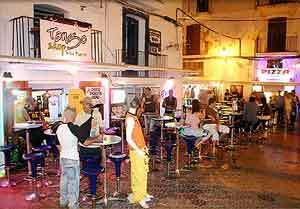 Ibiza Town or as it is correctly known by the locals as Eivissa, is the capitol of the island of Ibiza and it's only city. 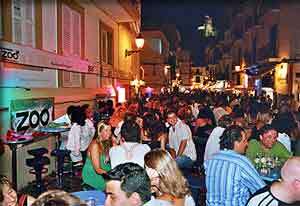 It is a very busy city buzzing with activity both day and night. 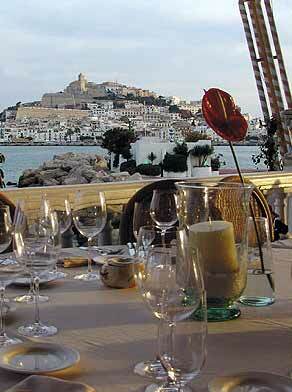 The old part of the city Dalt Vila is enclosed within the massive fortified city wall and has 5 entrances. More information & photos of Dalt Vila's 5 gateways or entrances. Topping the hill is the very impressive & Iconic cathedral. 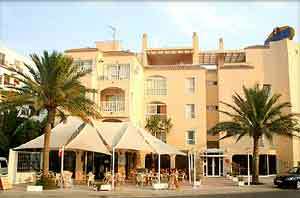 The backdrop of many photographs of Ibiza town. 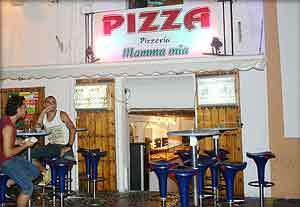 The El Divino Cafe is located right in the exotic nightlife area on the front near the major ferry terminal.